At least 14 people have been killed and 36 wounded after a gunman burst into a Shia shrine in the Afghan capital, during the marking of the Ashura festival in what appears to have been a sectarian attack. The worshipers were densely packed during an evening service at the Karte Sakhe shrine during one of the key weeks in the Shia calendar, when the attack occurred. In a blurry video taken from a distance posted to social media shortly after the incident, a staccato barrage of gunshots is followed by screams. Several unverified photos from the shrine showed the floors running red with blood. Confusion reigned in the first hours following the shooting, with local media reporting that between one and eight people may have been behind the massacre, and with claims that hostages had been taken. The Ministry of Public Health said that as many as 40 people have been delivered to hospitals, as well as the 14, who have been confirmed dead, with one policeman among them. Marking the death of Imam Hussein, the grandson of Mohammed, Ashura is not just a signature festival of mourning for Shias around the world, but lies at the heart of the Sunni-Shia split, making it a frequent target for sectarian attacks. 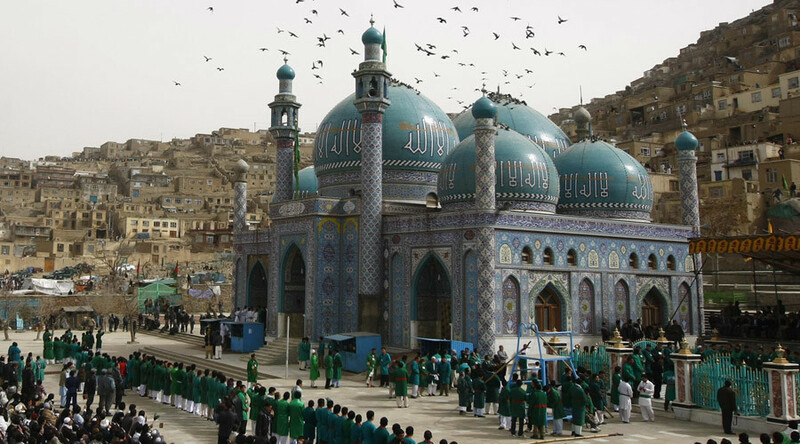 Fewer than 20 percent of Afghans are Shias, and tensions between the sects are less pronounced than in many other Muslim states, but the government warned of potential attacks in the days before the incident. More than 90 Shia believers from the Hazara ethnic minority were killed in July, during a public demonstration in central Kabul. A local Islamic State affiliate claimed responsibility. So far, no one has admitted to organizing Tuesday’s attack. The Taliban, which has been conducting aggressive military campaigns in several parts of the country, issued a statement explicitly denying responsibility for the shooting.